its reports focus on inputs and activities, but not on outcomes and progress towards program objectives. As multiple reviews of National Red Imported Fire Ant Eradication Program have said, Biosecurity Queensland cannot prove that it is containing or eradicating fire ants and is not wasting public money because it does not have, and has never had, any reliable performance data because it does not have and has never had, a functioning information system: even though this was one of the Milestones set by Ministerial Council in 2001. In 2002, an independent scientific review team said, because of the lack of data, ‘the (program) is no position to know, with any degree of certainty, what areas have not been treated, what areas have been treated and what they were treated with’. In 2013, the program auditor was complaining that Biosecurity Queensland still had no long-term plan for the National Red Imported Fire Ant Eradication Program, no specific, measurable and fit-for-purpose program performance indicators and no mechanisms for analysing the cost-benefit of program initiatives to decide if they should proceed. They also said, Biosecurity Queensland’s reports were just ‘narratives’: stories of inputs and activities but not reports on progress towards program targets. Consequently, the auditor said, because it was not possible to track the progress of the program or conduct any robust cost-benefit analysis of it, there was a risk the National Red Imported Fire Ant Eradication Program might not achieve its objectives and might not be able to demonstrate due care in the use of public money. By 2012, the fire ant program information system was over 10 years old, held over 22m records, needed to be regularly ‘patched’, was fragile, erratic and subject to outages, and its ability to provide basic functions was questionable. So, a decision was made to re-develop it: but that is yet to happen. 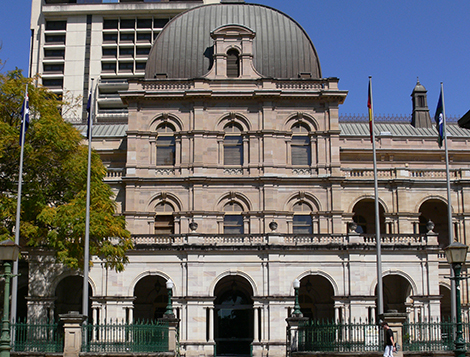 The 2012 re-development project was suspended and in their annual report for 2014-15, Biosecurity Queensland noted the information system was still being updated and tested. In March this year, the Queensland Audit Office reported that Biosecurity Queensland’s information system was STILL under development and still not functioning as intended because Biosecurity Queensland managers keep changing the scope of the information system. This has been a chronic failure of Biosecurity Queensland’s management of the fire ant program and its information system. One of the early managers of the fire ant program’s information system said the problem was never with the technology: the problem is that Biosecurity Queensland managers have never planned what the information system needed to do. This former manager said the information system had the capacity to record information on individual properties: how many times it had been treated or inspected and how many doses of the various chemicals, but Biosecurity Queensland managers had never asked for that information. Which is also what program auditors said in 2013: Biosecurity Queensland has never developed any long-term plan for the program. Which is also what the Queensland Biosecurity Capability Review of 2015 found. The reviewers noted, with alarm, that Biosecurity Queensland does not collect high-quality and timely performance data to inform operational and financial decisions. Consequently, they said, Biosecurity Queensland’s leadership team’s decision making was often conflicted and inconsistent because it lacks any performance data as a basis for decision making. The reviewers concluded that Biosecurity Queensland does not have the leadership and organisational capability needed to protect Queenslanders from invasive pests and diseases now or in the future. The community can have no confidence that the National Red Imported Fire Ant Eradication Program will contain or eradicate fire ants and the community can have no confidence that $400m of public money, so far, has not been wasted while Biosecurity Queensland runs the National Red Imported Fire Ant Eradication Program.